Our channel vacuum pouches and rolls are suitable for home vacuum sealers such as the FoodSaver, Seal-A-Meal, Fresh Guard, PRO-2300 series, FoodShell, and many more. 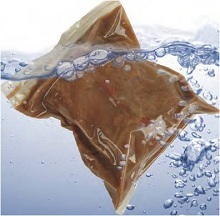 ​Channeled Vacuum Pouches and Rolls are designed for non-chamber machines. These bags and rolls have a special embossed surface which creates channels for the air to be pulled directly from the pouch itself. Channel vacuum pouches will virtually stop oxygen from penetrating through the bags. 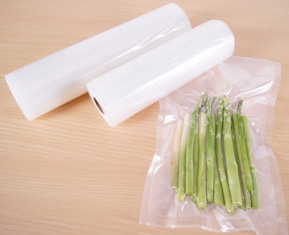 Using a vacuum bag will significantly extend the shelf life and flavor of your food, as well as prevent freezer burn and dehydration loss, eliminating waste. 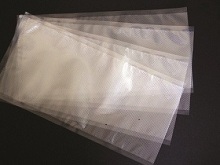 Co-Extruded, poly nylon vacuum pouches are 3 mils thick, and multi layered mixture of nylon and polyethylene resins. Material is high performing while remaining cost effective. 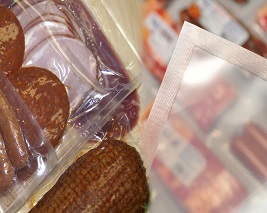 All poly nylon vacuum pouches at southwestpolybag.com meet FDA and USDA requirements for food contact. Bags have a unique capability of conforming to odd food shapes. High tensile strength and puncture resistance keep your goods secure. Low oxygen transfer ensures your meat, fish, dried foods, and snack products remain fresh. 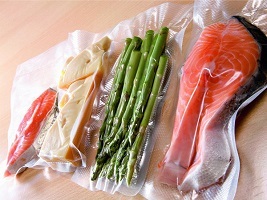 Sous Vide, French for "Under Vacuum", bags are effective at boiling temperature(212*F), and 3.2 mils thick. Excellent for maintaining foods, and cooking over extended periods of time at lower temperatures. The vacuum cooking process keeps fluids and aromas in the food, which would be otherwise lost in conventional cooking methods. Channel vacuum pouches are ideal for vacuum packing with household and professional external suction machines. It is also possible to use them with chamber vacuum packaging machines.